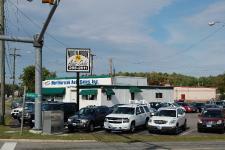 Meet the Staff of NorthBrook Auto Sales Inc.
From the moment you step on our lot until the time you drive away in your next car, your buying experience with NorthBrook Auto Sales Inc. is our number one priority. We encourage you to use the expertise and resources of our sales staff; they are here to help you find the right car at the right price. Call us today at 804-266-2611 to schedule your test drive! Thomas opened Northbrook Auto Sales in 2007, and is still going strong developing ties in the community and building lasting relationships with our clientele. Thomas can usually be found on premises and is always delighted to make the acquaintance of a new member to the Northbrook family of customers. 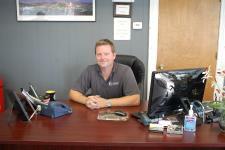 Greg Krol joined Northbrook Auto shortly after its opening. His vehicle knowledge and maintenance skill sets are second to none and he keeps things running smoothly for both the business and our clients. Greg can be found on site most days when he is not at auction hand selecting our merchandise with Thomas, and like Thomas he welcomes the opportunity to meet and assist current and future customers of Northbrook Auto Sales. Steve joined the Northbrook Auto family in 2010 to organize and develop a uniformed sales philosophy and build strong customer relations with our valued shoppers. 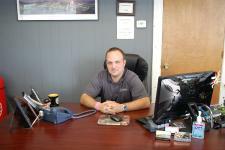 Steve can be found on site daily and is happy to help guide you toward the used vehicle that is a perfect fit for your needs. He will always be the first to tell you that we offer the most relaxed environment to shop for your used vehicle, and assure you that when you are ready we will be available. The youngest member of our team, and the heir to the Northbrook Empire; Tom Junior is known to be firm but fair, respected by his staff, appreciated by clientele, and sweet on the ladies. He looks forward to one day taking the reigns from his father and ushering in the forthcoming age of used auto sales to the world at large!! !